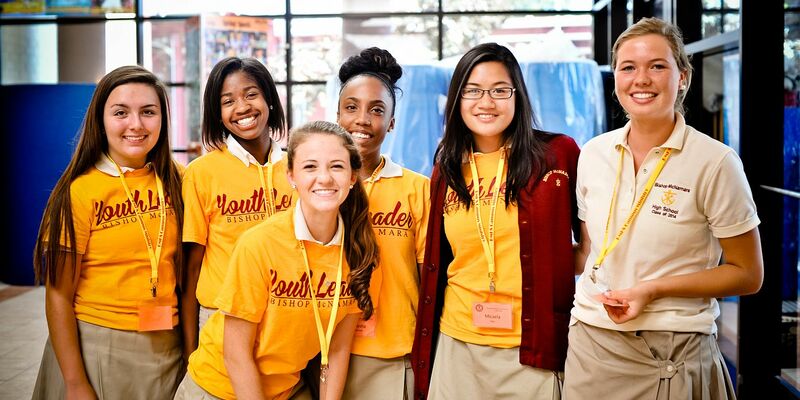 We express our gratitude to the Camp Fire/Teens in Action group from Bishop McNamara for organizing this incredible day of service in honor of Dr. Martin Luther King, Jr. More than 175 individuals participated in the Teens in Action MLK Day of Service. One lead program was for our teens to work with young children to teach them about inclusion, safety, emergency readiness and first aid. There were a total of 14 different groups that rotated through a multitude of projects, all with the aim to benefit our community. These included making and delivering sandwiches to Martha's Table, preparing scarves for shut-in senior citizens, responding to the needs of other teens who do not have all of the toiletries they require by preparing crisis toiletry kits, creating toys for shelter animals to be delivered to animal shelters in our community, and writing letters to our service men and women. Parents also had a workshop on helping youth plan service programs and supporting service learning. 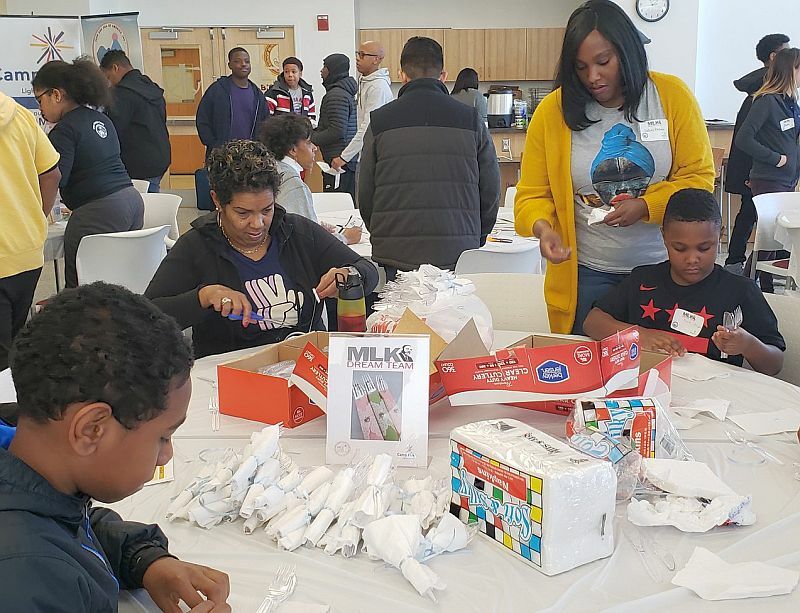 Our partners for this day of service included Disney Foundation, Youth Service America, Jack and Jill of Prince George's County, Red Cross, as well as community businesses that donated hundreds of dollars in supplies. Congratulations to the Camp Fire/Teens in Action for a terrific day of service in honor of Dr. Martin Luther King, Jr.!